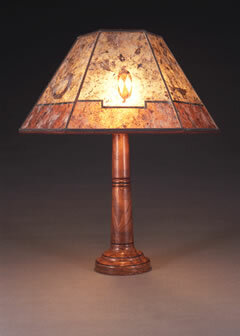 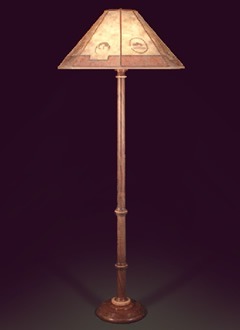 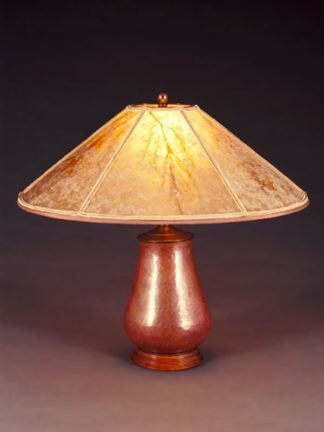 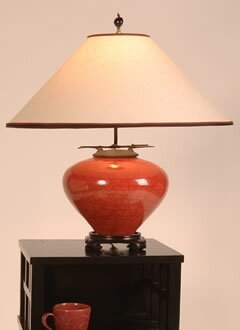 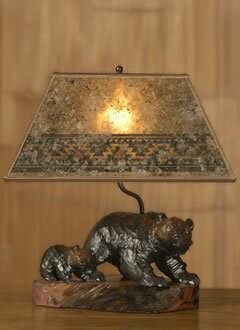 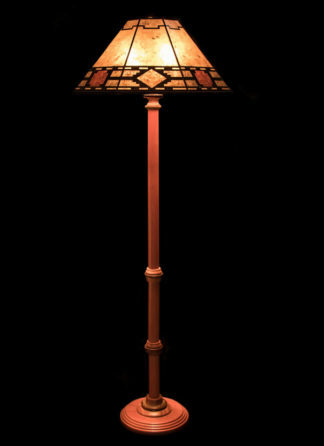 In addition to copper and brass lamps, we have several pine cone table and floor lamps. 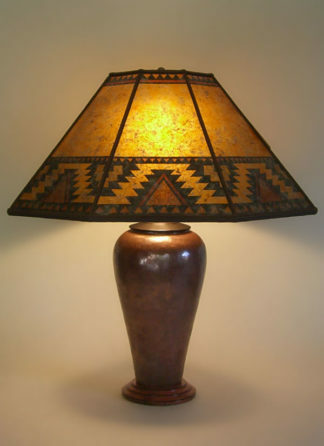 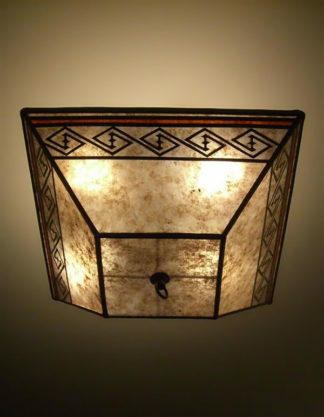 These are all well suited to our Southwestern or rustic lampshade designs, such as the Anasazi and Lightning borders and Pine bough design. 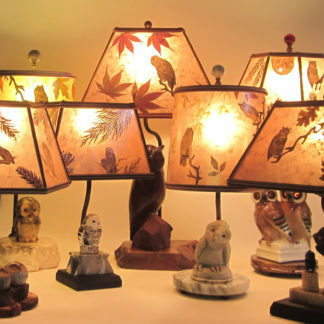 Sue loves carved stone, bone, and antler animals (especially bears) and we have created special shades for them. 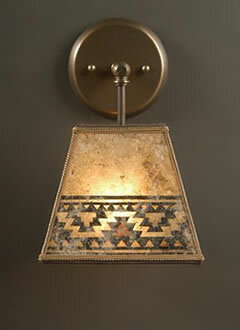 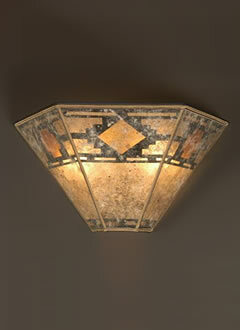 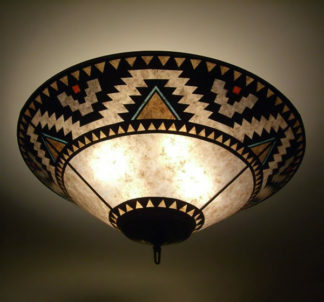 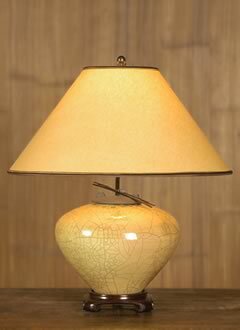 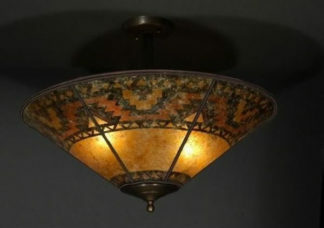 Because we design and make all of our lamps and shades, we have tremendous versatility. 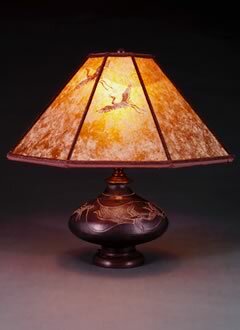 We can adapt designs from your home or your lamps to use in shades; mica, hand-painted paper, and paper-cut lampshades can all be custom ordered.